→ Get ready for an amazing interview with Scott Smiley from ICON Foundation: the leading Blockchain Developer in South Korea. With its massive Blockchain Ecosystem, it wants to connect Blockchains and build a bridge between the Cryptocurrency world and the Real World. Scott Smiley will take you through a journey on various implementations currently being developed by ICON! → ICONLOOP is behind many initiatives to bring blockchain technology into everyday use in Korea. It has also started a global accelerator program to spark collaboration with overseas enterprises. ICX Stations have already been created in San Francisco and Singapore as part of this program, with plans to expand to Tokyo early this year. Korea may no longer be the hotbed of cryptocurrency trading it was during the 2017 bull run, but ICON is making great strides toward making the country a world leader in blockchain adoption. While there are many competing projects looking to connect various industries and public sectors in other countries, ICON has established itself as the only real contender to dominate blockchain development in South Korea. ICON has created an incredibly expansive foundation for building a Korean blockchain giant. 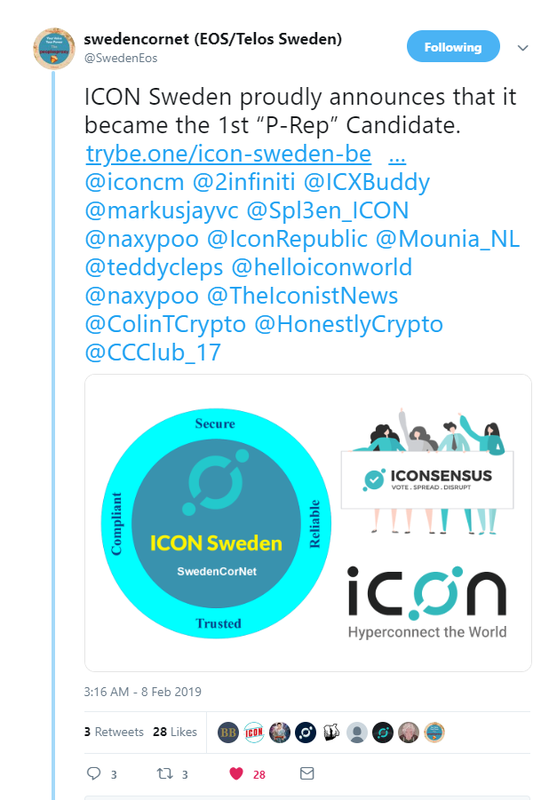 ICON Sweden, the first P-Rep Candidate to apply, reaches out to the community by providing a bit more information on them! 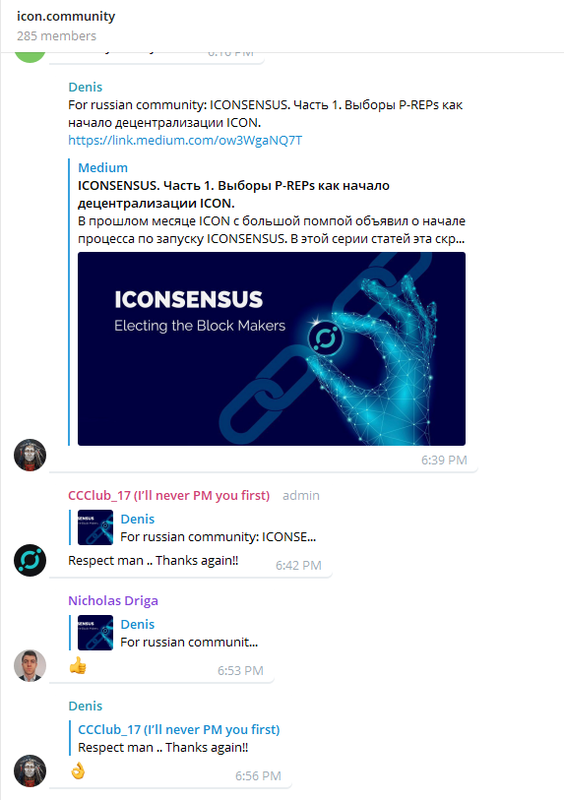 Denis contributing as a member of the ICON Community Alliance HX57 by providing Russian translations! Thank you! 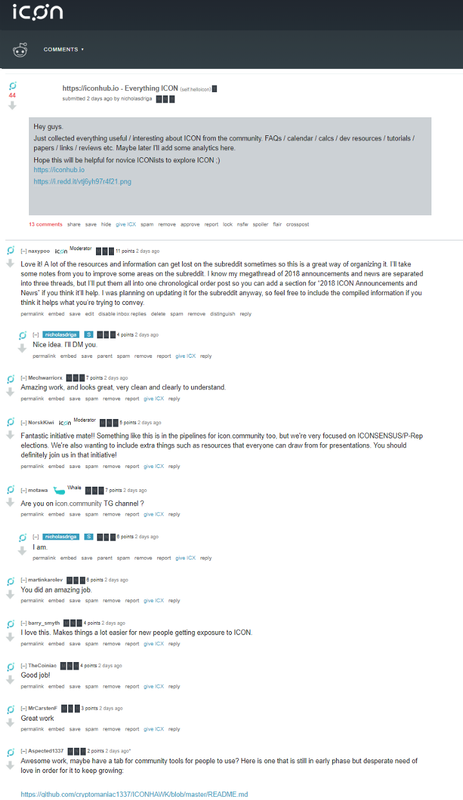 u/mpherron20 on the /r/helloicon subreddit goes back in time and compiles a ton of research and information on ICON from the past. The community absolutely loved it! It’s a long read so I couldn’t include the entire post, but it’s a good one! Check out the full post here! Shout out to Markus Jun, Brian Li, and Jimmie Schrute. 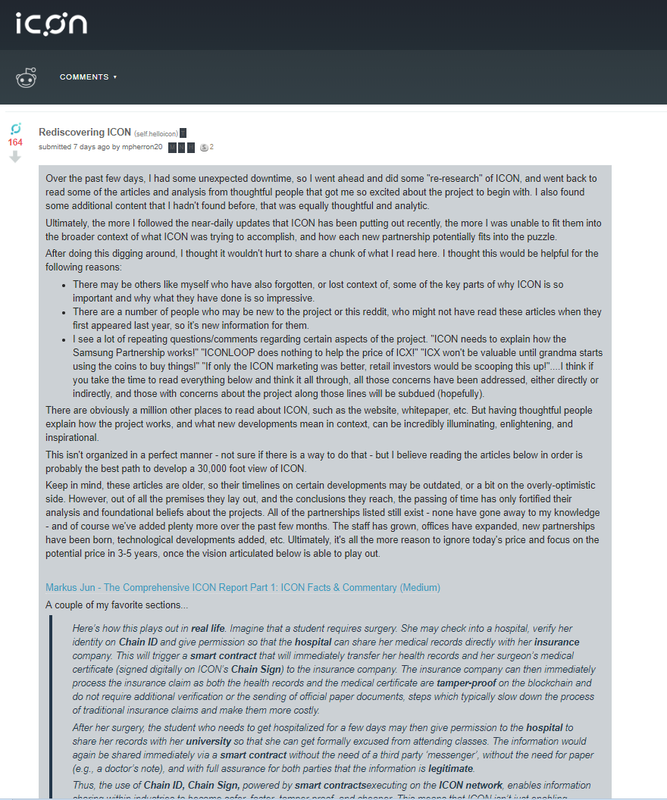 u/nicholasdriga creates a hub of ICON-related information and resources. The ICON community has been so supportive and helpful towards each other and to ICON Foundation. It’s amazing to see how far the community has grown together. You guys are all incredible. Thank you! We are looking for some community members to join us. If you want to contribute to our Medium channel, please contact support@icon.community or find an admin in our telegram channel.